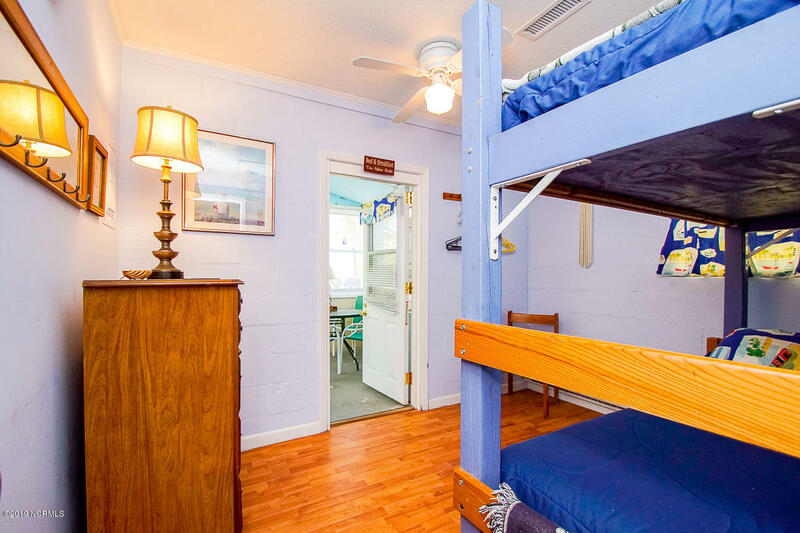 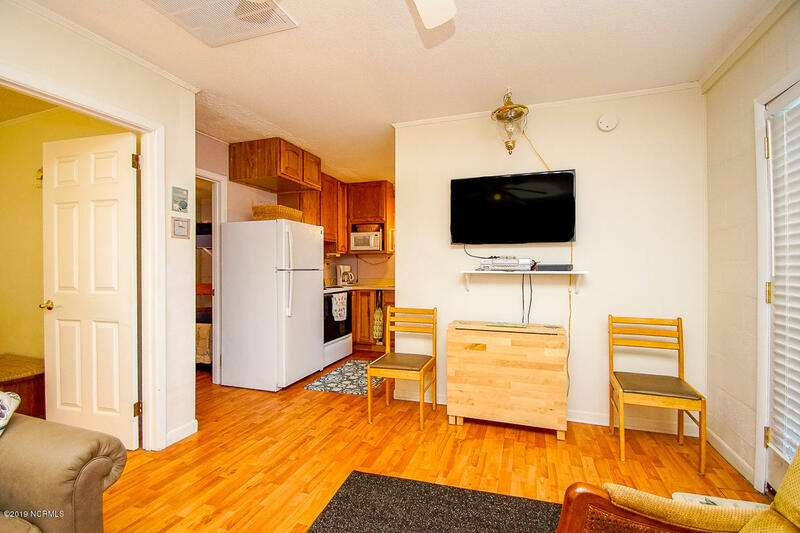 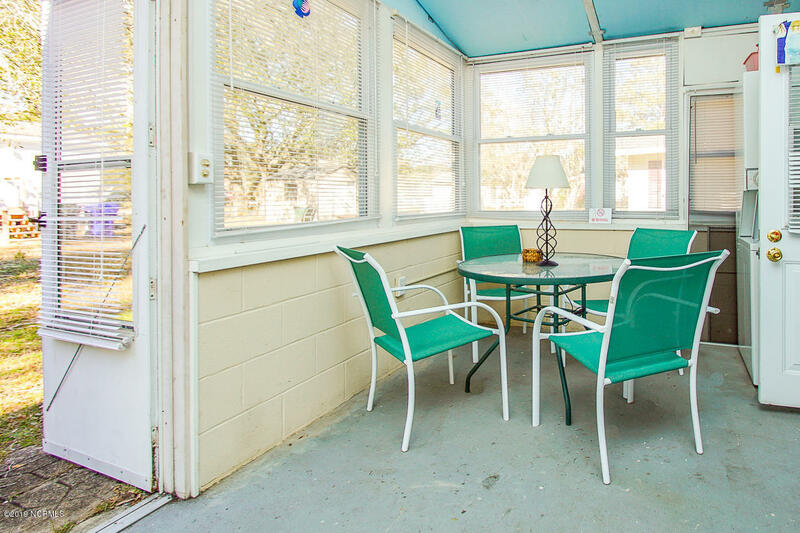 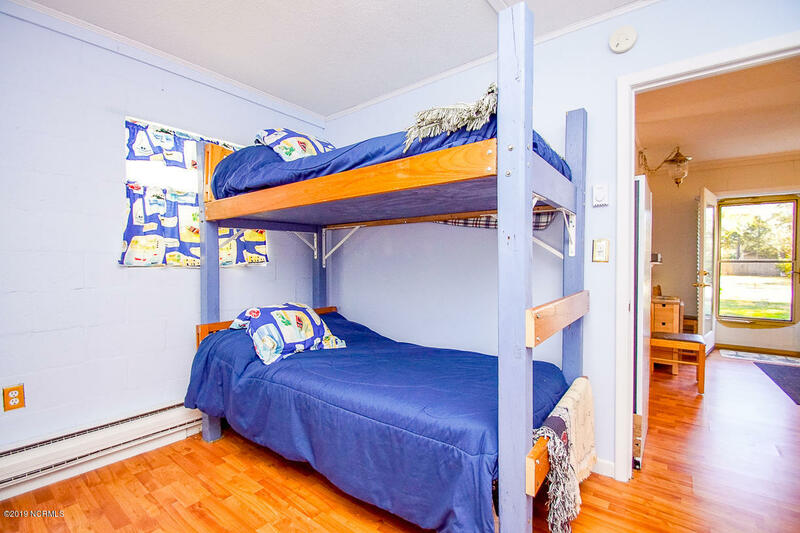 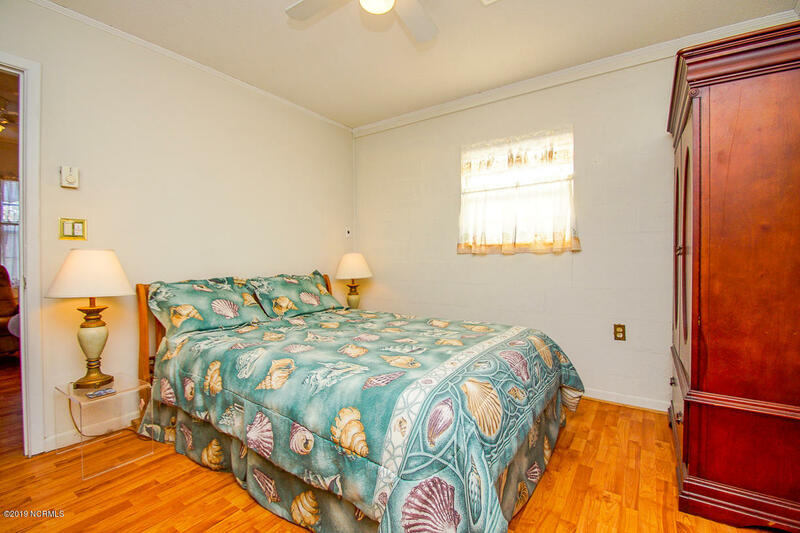 Hear the ocean from this adorable furnished beach house in the perfect location just a 7-minute walk to the surf and only a 10-minute walk to fun restaurants and the grocery store! 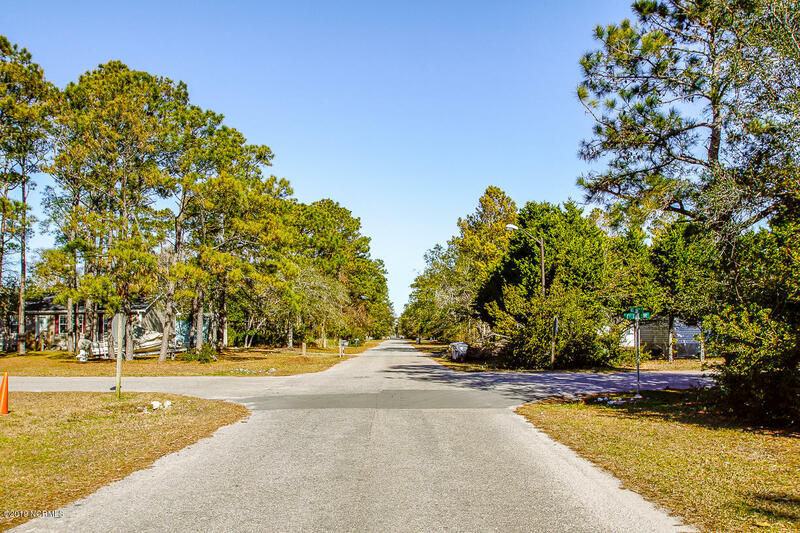 Faster by bike or golf cart, of course! 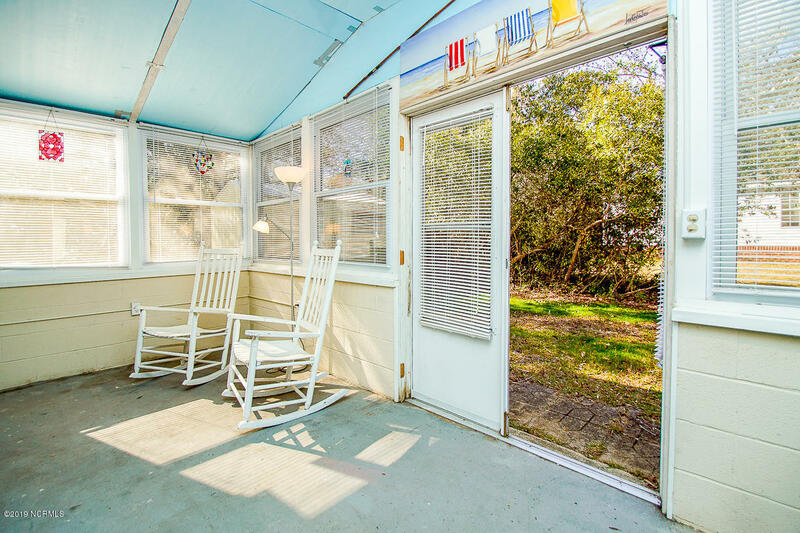 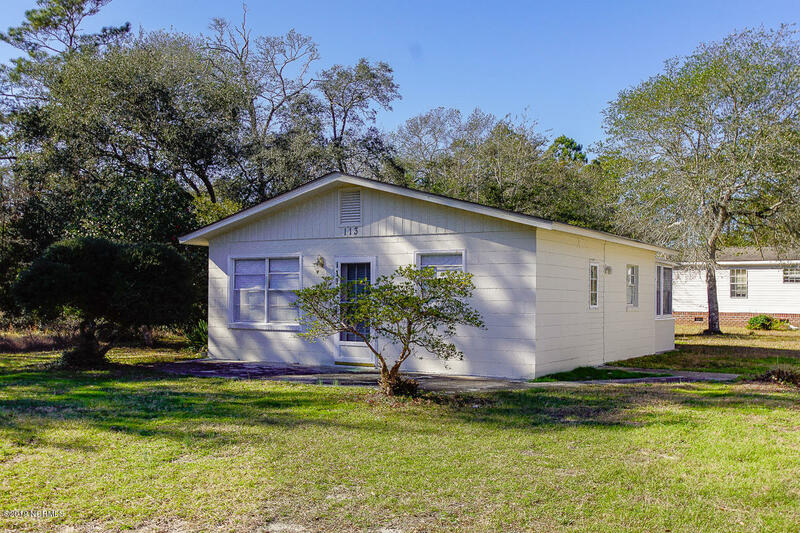 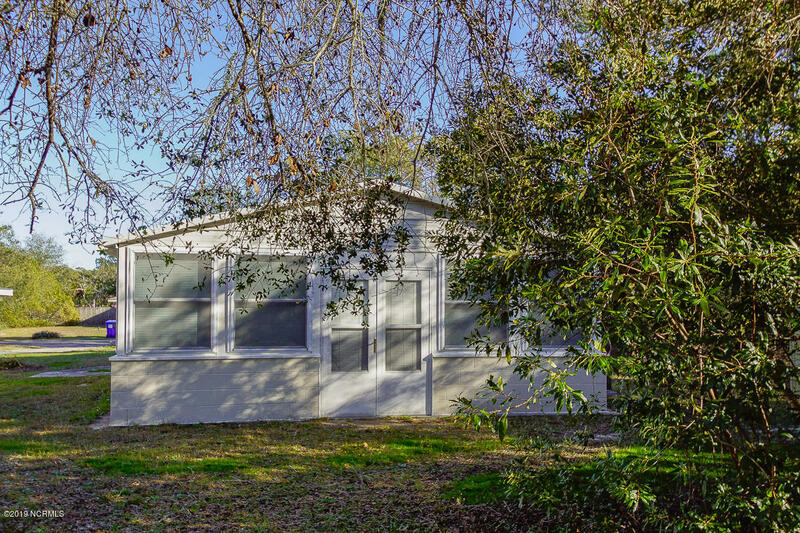 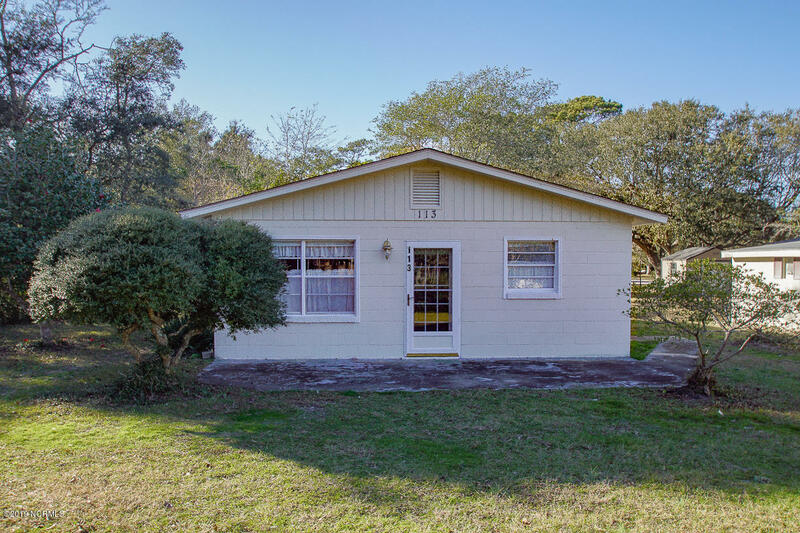 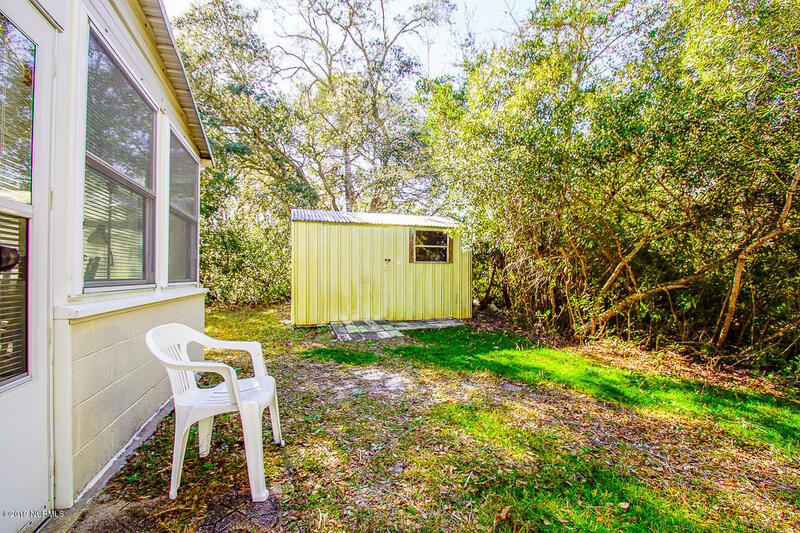 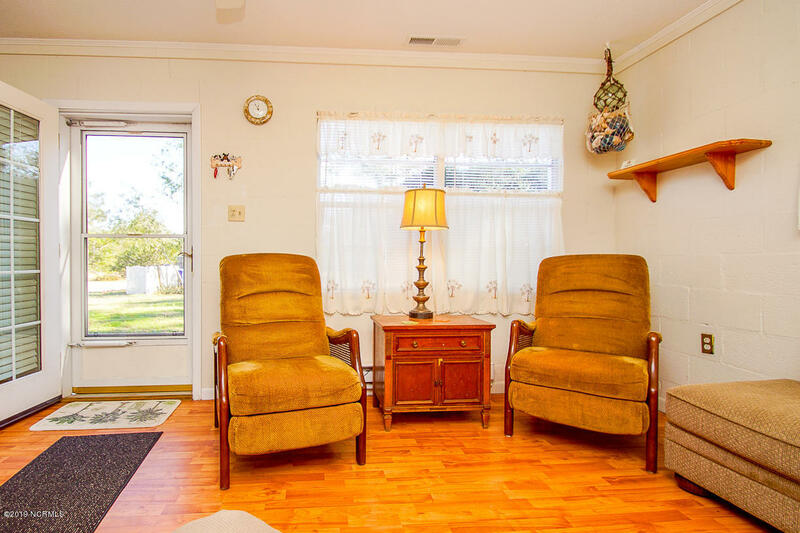 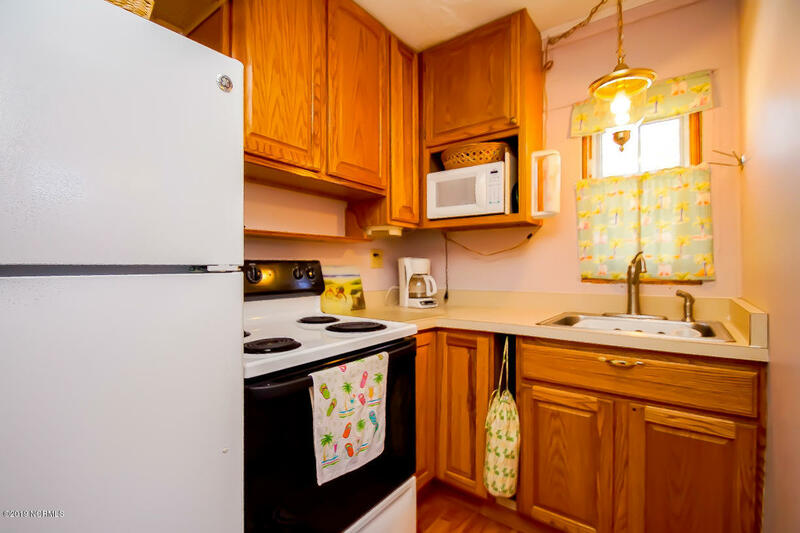 Easy to love 2-bedroom, 1 bath built to last block house including a cute sun porch and a storage building for all of your beach gear. 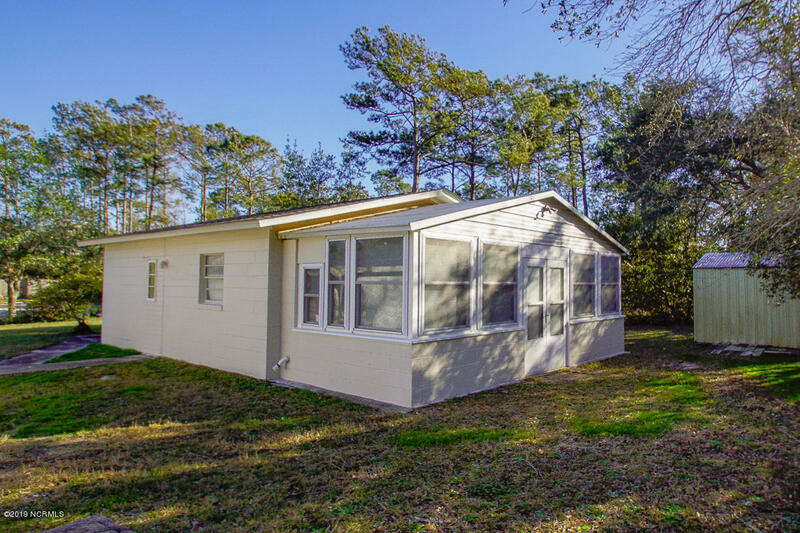 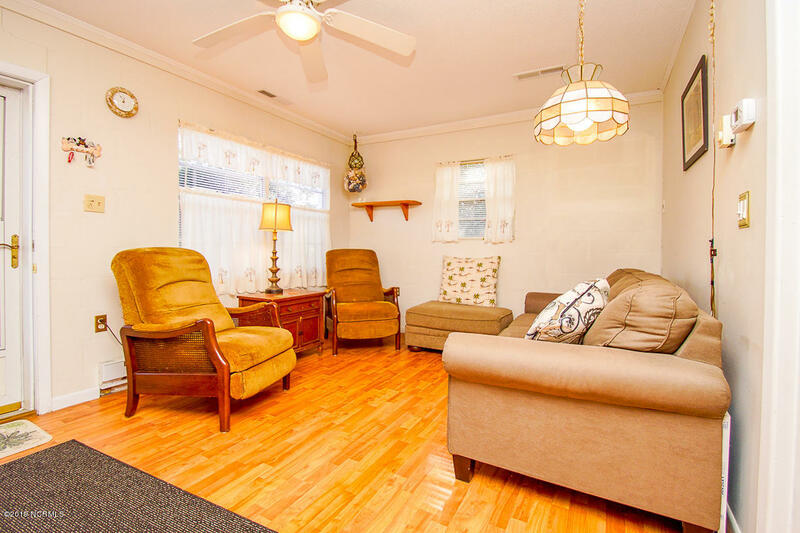 A new roof, 6-month young HVAC system and wood laminate flooring is an added plus! 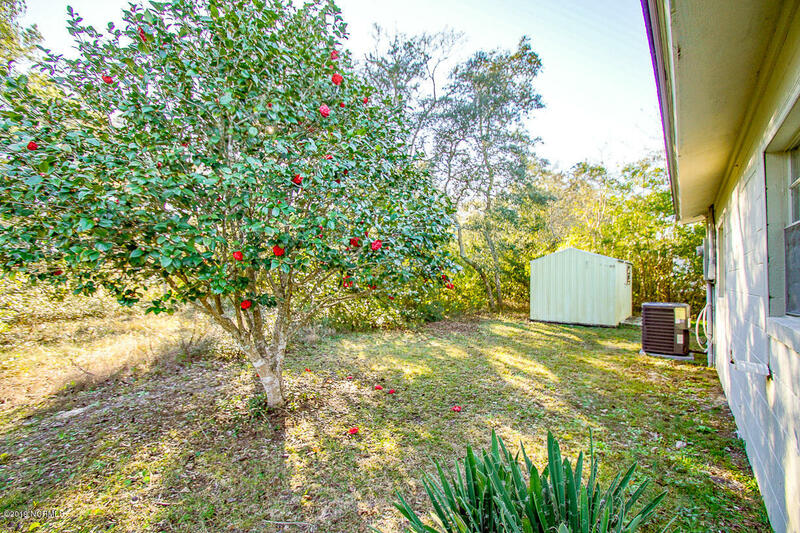 Nice lot with pretty trees. 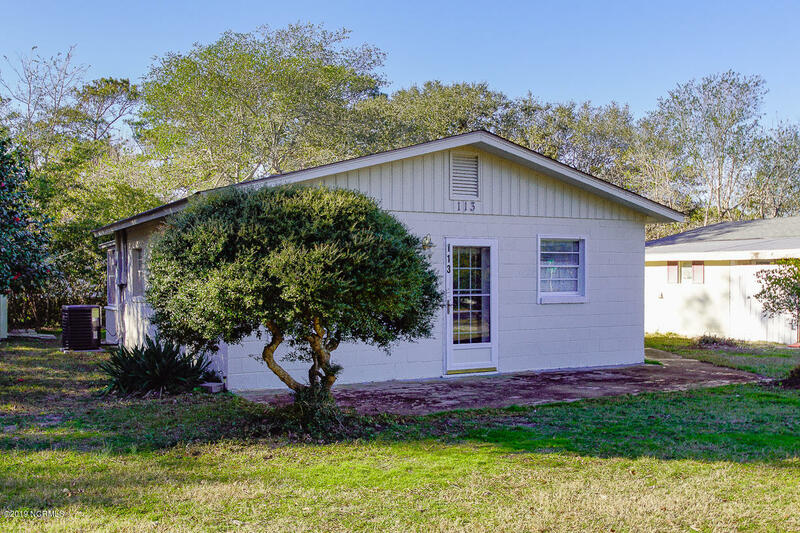 Potential rental income if you have an interest in investing. 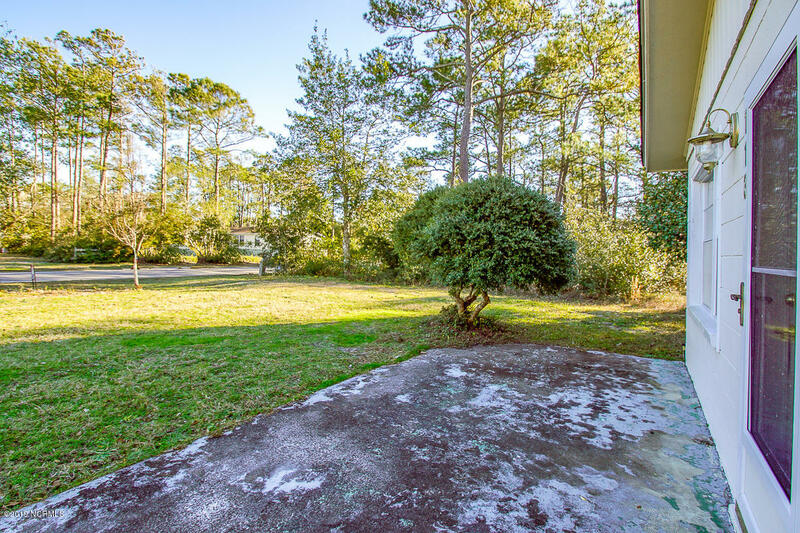 Start the New Year off with a splash on the beaches of beautiful Oak Island!